We have all seen kids around town heading to games in baseball or soccer uniforms. Their teams are concentrating on mastering the techniques and skills necessary to advance to the next level of the team sports ladder. But when it comes to team sports for children and teens on the autism spectrum, the emphasis is completely different: it’s not about the sport – it’s so much more. What are the benefits of team sports for children and teens on the spectrum? While they might look fantastic in their team uniform, will they learn anything of lasting value? Many experts have documented the expected benefits of physical exercise to individuals with special needs such as the improvement of coordination, boosting of the immune system and improvement of mood. Athletes gain a sense of accomplishment each week that is not based only on skill level but simply by showing up in uniform and getting high fives for working at their own ability. The athlete gets a trophy with their own name on it to put in their room – just like other kids. Parents spend time with other parents who “get it” and establish a sense of community and support. Athletes and parents alike get the feeling of belonging and not standing out; especially when an athlete gets upset and has a behavior on the field/court. Everyone at the game understands and works together to turn it into a positive outcome. It is a fantastic opportunity to practice social skills with teammates in a non-classroom environment. Whether it’s just kicking a ball back and forth or learning to congratulate teammates, the athlete is encouraged to communicate in both verbal and non-verbal ways. Team sports provides an additional opportunity for dads and other male role models to spend time with their athlete. During the week, children with special needs spend time with therapists and educators who are predominantly female. On the weekends, athletes benefit from interaction on the field/court from both male and female coaches and Team Mentors. The athlete is able to practice learning new skills from new people; all in a “safe” environment. 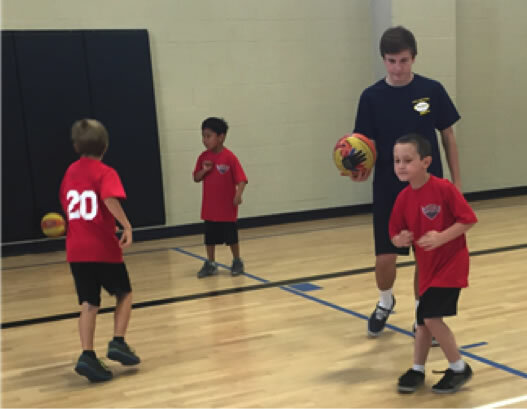 Bryan recently had his first experience in playing team sports with a local sports league aimed at serving children and teens with special needs. He started his first day of basketball afraid to walk onto the court; hiding on the sidelines. Coach Chuck, a Spirit League Board Member and former Athletic Director, sat on the floor with him, offering encouraging words. While it took nearly 30 minutes on the sidelines, Bryan eventually joined his Team on the court; passing the ball to his teammates. The next week, Bryan walked onto the court of his own accord, timid, but willing to participate in circle time activities with his Team. By week 3, Bryan was actively playing ball with his Team – The Rockets. The picture of the fearful athlete who started just weeks before was forgotten. It was an amazing experience to watch the confidence build in Bryan each week from the encouragement of his coaches and teammates. By the end of the season, Bryan’s confidence was sky-high. He held his trophy with a huge smile; knowing he had come a long way. The cheers from the stands recognizing Bryan for his efforts were almost as big as his smile. Founded in 2004, Spirit League was created by the parents of children who were unable to fully participate in team sports due to challenges. 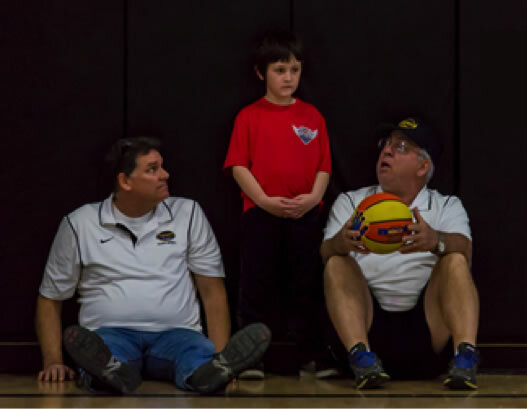 Spirit League is tailored to meet the specific needs of children on the autism spectrum and other developmental or physical disabilities who are between the ages of 6 and 20+ years old and who are ambulatory. For our athletes, our goal is to foster self-esteem, enhance social skills and build friendships. For our parents, our goal is to strengthen relationships, provide support and develop community. Three sports are offered each year including basketball (January – March), baseball (April – June) and soccer (September – November). For more information or to register for the 2016 Basketball Season (register November 1-30, 2015), go to www.spiritleague.org. #Autism is now 1 in 45 – will anyone listen? Spring is Making My Kid Crazy! Why Doesn’t My Child Say ‘I Love You’? The Autism Community in Action (TACA), formerly Talk About Curing Autism, is a national non-profit 501(c)(3) organization with the mission to provide education, support, and hope to families living with autism.